It's clear that executive chairman Bill Ford Jr. approves of CEO Jim Hackett's vision for the automaker's future. 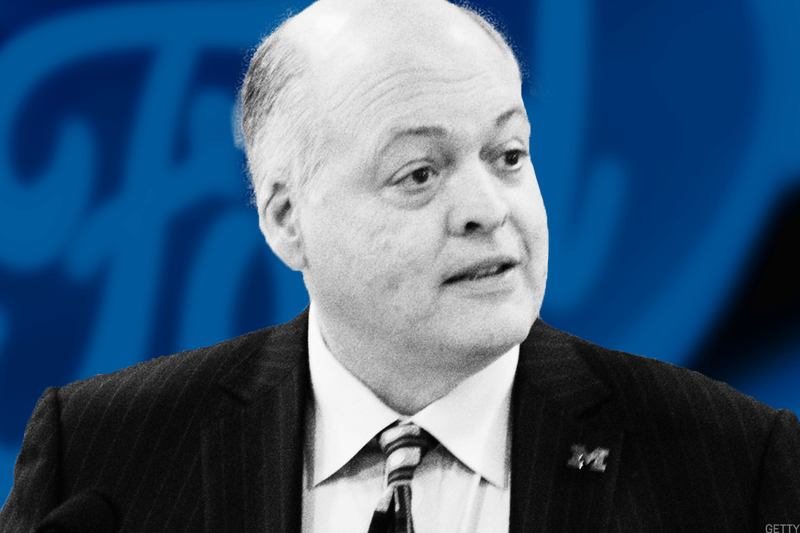 Ford Motor Co. (F - Get Report) CEO Jim Hackett has been at the helm for a little more than a year; his vision of the future has been voiced several times since his arrival. His talk about the future may have helped land him the job. That became clear after recent comments from Executive Chairman Bill Ford Jr. over the weekend. Following the automaker's purchase of an iconic Detroit landmark -- the old Michigan Central train station in Corktown, a neighborhood near downtown Detroit -- Ford Jr. said he's been eyeing the old building over the past year and with Hackett recently becoming CEO, the ball really got rolling with Ford Motor Co buying up the property. While planned renovations will likely go on for four years until 2022, the automaker will use the space as part of its "future of mobility and automotive" operations, putting its self-driving team, among others, in the space. Hackett & Co. have shared Ford's plans so far in 2018. It doesn't take a deep industry insider to see the direction Ford is going. At the Detroit Auto Show in January, management said it expects to produce a hybrid F-Series in the not-too-distant future. More recently, Hackett told Wall Street that the automaker would phase out its sedan portfolio -- with the exception of the Focus and Mustang -- due to the booming popularity of SUVs and trucks. Given the recent breakdown by Morgan Stanley analysts that the F-Series appears woefully under-appreciated by investors, along with the strong demand for high-end, pricey SUVs, it's no wonder Ford is moving on from cars. Finally, Hackett has also mentioned Ford's plans to usher in smart cities, communications and delivery services. While Alphabet Inc.'s (GOOGL - Get Report) (GOOG - Get Report) Waymo may be leading the autonomous-taxi service, General Motors Co. (GM - Get Report) isn't far behind. Alphabet is a holding in Jim Cramer's Action Alerts PLUS member club. Want to be alerted before Jim Cramer buys or sells the stock? Learn more now. And while Tesla Inc. (TSLA - Get Report) may join the battle in the future and Uber desperately wants in, Ford seems like it could be the next in line to launch such a business. For those paying attention to Bill Ford's moves back in 2009, perhaps Hackett isn't the most surprising hire after all - despite his gigs as the athletic director at the University of Michigan and as a CEO of Steelcase (SCS - Get Report) , an office furniture company. Remember that Alan Mulally, the man who essentially saved Ford from the bankrupt fate of its Detroit rivals GM and Chrysler, came from Boeing Co. (BA - Get Report) . So the Ford C-suite doesn't always have a history of bringing in automotive-exclusive leadership. 2009 wasn't just the year where automakers and the global economy were reeling, either. It was when Ford Jr. created Fontinalis Partners, a venture capital firm in downtown Detroit. "It was to invest in the future of mobility when nobody was thinking about the future of mobility. We invested in autonomy. We invested in parking solutions. It's been a huge success," Ford told the Detroit Free Press. "So, we kind've invented the whole mobility space. There was nobody else doing it." So clearly Bill Ford Jr. has had his eye on the future of mobility and the future of autonomous driving and its applications. Now he's depending on Hackett to deliver on that vision with his family's long-running business. As promising as Ford's vision might be, Hackett received some criticism for not quite reflecting that future to its investors. Waymo's quickly changing the self-driving game and how that reflects to a transportation business. Countless technology companies are taking advantage, while GM's Cruise division just received a multi-billion cash infusion from GM and SoftBank (SFTBY . Is Ford simply playing catch-up or not taking the right approach to the future, many wonder. At least Ford Jr. he has confidence in Hackett. "There was no point in [becoming CEO] if he had one foot out the door. If he was going to do this, he would have to go all in. And he has," Ford Jr. said. And Jr. knows Hackett doesn't have an easy job. He has to run Ford's current business, while also developing a hard-to-predict long-term business. But he believes Hackett can do it. He has the ability to "hold the now, the near and the far together in a way, I find, is really good for the organization," Ford Jr. said.